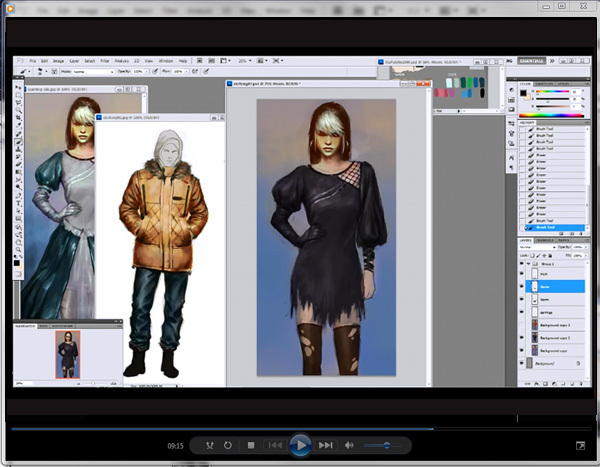 You will get approx 2 hours of Video tutorials, included 7 Chapters. 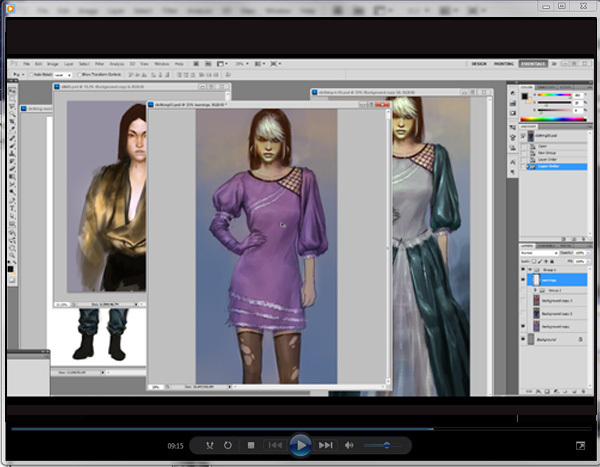 You will learn to paint different kind of clothes, folds and wrinkles. You will learn to quickly paint laces, web, stocking, and fur. You will learn to different kind of clothing materials such as cotton, nylon, silk, satin, see-through, etc. 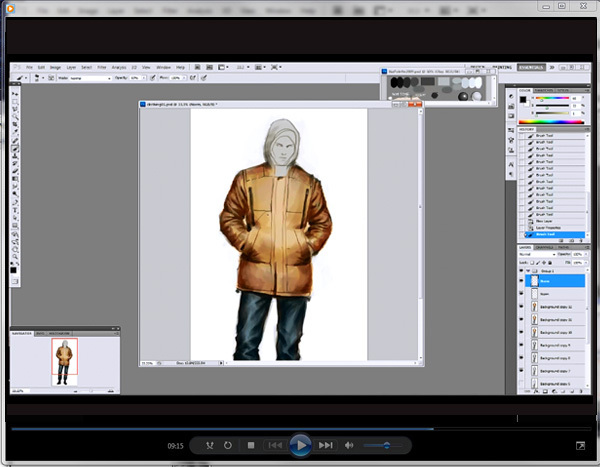 You will learn use Adjusment layer mode functions to enhance your illustration. 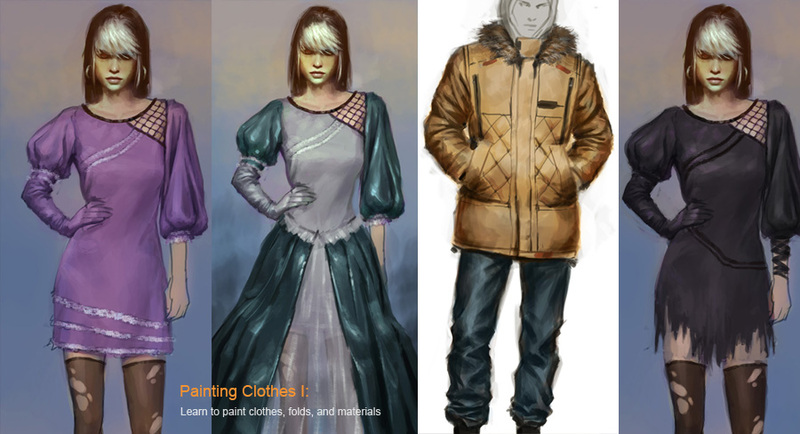 1) Intro to painting clothes. 2) Painting folds and wrinkles structure. 3) Painting laces, stocking and web. 4) Using color, accessories and tear. 5) Painting translusive, silk and satin. 7) Painting jacket and fur. This is one of most essential and most requested from audiences. Painting cloth seems complex, but it is really simple once you know the principle. In this tutorial, you will learn to paint wrinkles and folds. Wrinkles and folds are the very key to make your clothes painting feels real. You will also learn to distinguish different material of clothing such as cotton, silk, nylon, jeans, satin, etc. These material has different reaction to light and I will give you tips and in sight on how to handle these issues. 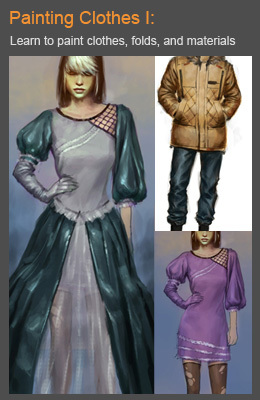 Clothing is one of the most important element in character design, you can't design a character without its unique costume. I have been a professional concept artist since 2001 for video games, cards game, etc. Along the career path, I spend years developing this quick and effective way to sketch, draw and paint variety of character designs. 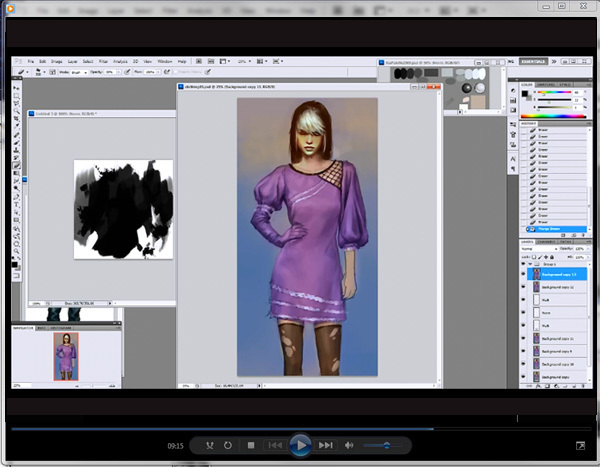 I've captured its essence for you in this easy to follow Premium Video Tutorial. This complete approach will get you going quickly and will even provide you the right path for further development as a professional artist. 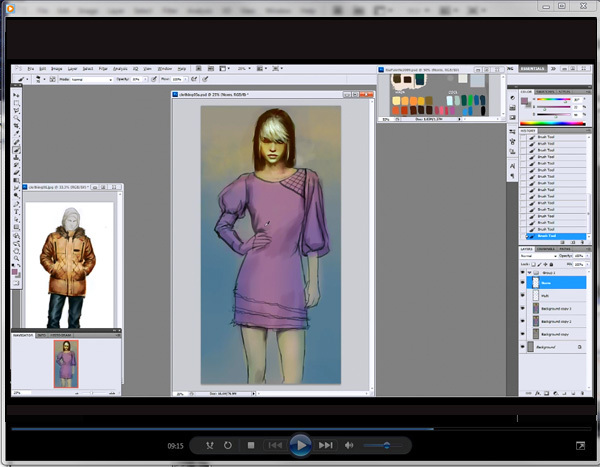 If you are NEW, my tutorial is a fast-track to make a dramatic difference in your art skill. Even if you are good, this course is guaranteed to boost you to the NEXT LEVEL. 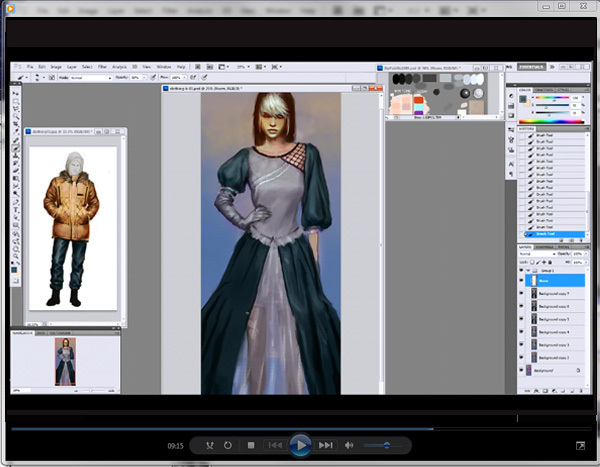 This DOWNLOADABLE TUTORIAL, I will show you how EASY it is to develop your initial sketch into a fully rendered and painted. You will improve the way you approach painting.